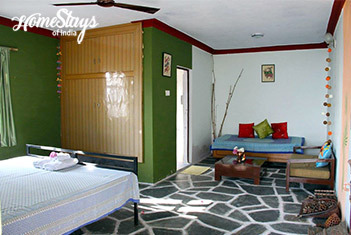 Gopeshwar is 213 km from Rishikesh, located at a mild altitude of1402m. 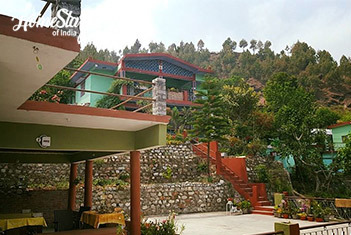 The largest township in Chamoli District of Uttarakhand is known for its pleasant weather most of the year (except Dec. and Jan.), picturesque sceneries and ancient temple of Lord Gopinath. Gopeshwar also serves as the stopover for pilgrims visiting the revered shrine of Badrinath. 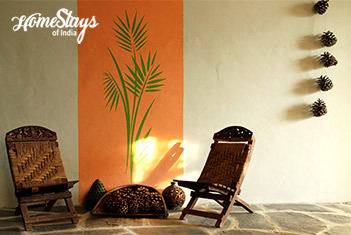 This rustic and eco-friendly home stay is 3 km from the hustle and bustle of Gopeshwar where you will find all the basic necessities. 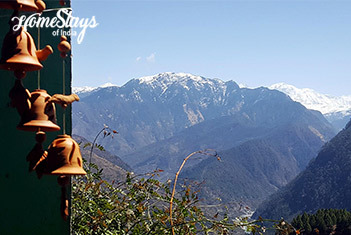 It provides stunning views of Trishula peak (7120 mtr) and Kali Ganga, surrounded by fruit trees and vegetable gardens. You will have freshly cooked organic food. Vegetables, spices and herbs come from own kitchen garden. You get fresh sheets, towels and charming rooms. 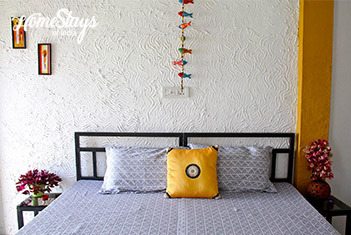 You’ll love this place because of the ambience, stunning views, comfortable interiors, fresh sheets and towels, yummy organic food, culture and cheerful people. Tulsi Rawat along with other women from women shelter looks after this place. Being the wife of an army officer she has lived in many different places and has travelled across the globe. 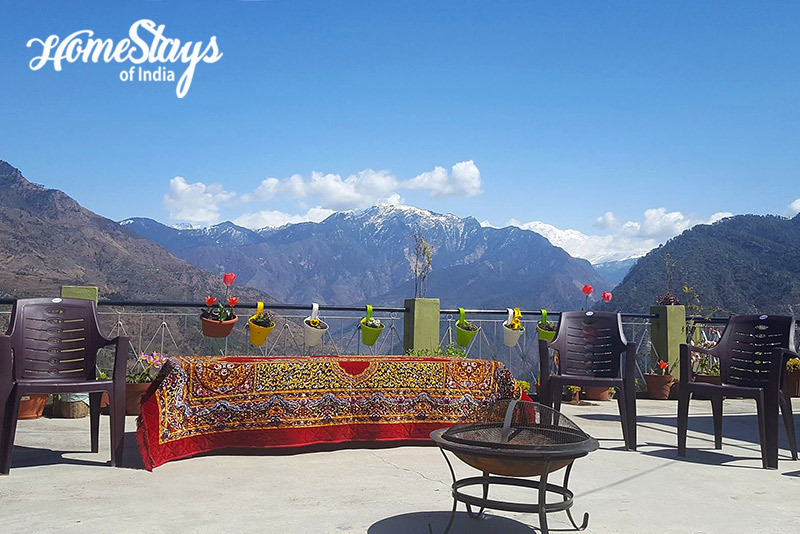 She has experienced beautiful cosy homestays all over the world hence she offer her home to you with her immense knowledge. She runs few social projects like – Women Empowerment, Educational and Environmental. She will be happy to show you around in addition to authentic village and handicraft program which is a delightful window to the rural Himalayan life. She likes gardening, gives cooking classes and love to spend time with guests. Tulsi Rawat offer home grown and home cooked organic Himalayan meals.